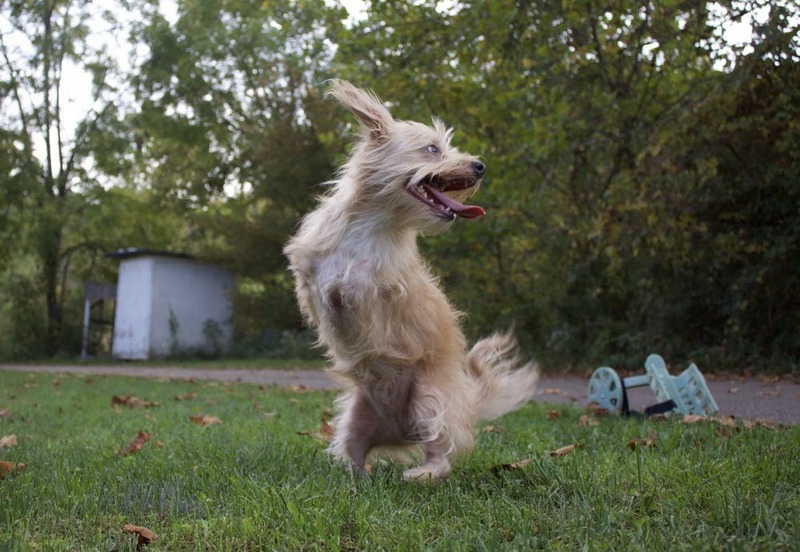 Where is Tumbles, the two-legged dog, now? A local two-legged puppy tumbled his way into the hearts of millions two years ago after garnering international media attention. Nearly two years later, he no longer uses the wheels the Ohio University Innovation Center 3-D-printed for him. Tumbles was born without his front legs. Because of his disability, he would get pushed out of the way by his brother and sister when he was trying to nurse, forcing his owner to give him up to a foster home. Karen Pilcher, who was on the board of the Athens Friends of Shelter Dogs, has been by Tumbles’ side since he was four weeks old. She officially adopted him last December. He’ll be two years old soon. Pilcher and some other members of the Athens Friends of Shelter Dogs created a Facebook page for Tumbles in November 2015, when he was six weeks old. An engineer saw the page and designed wheels to help Tumbles’ mobility. 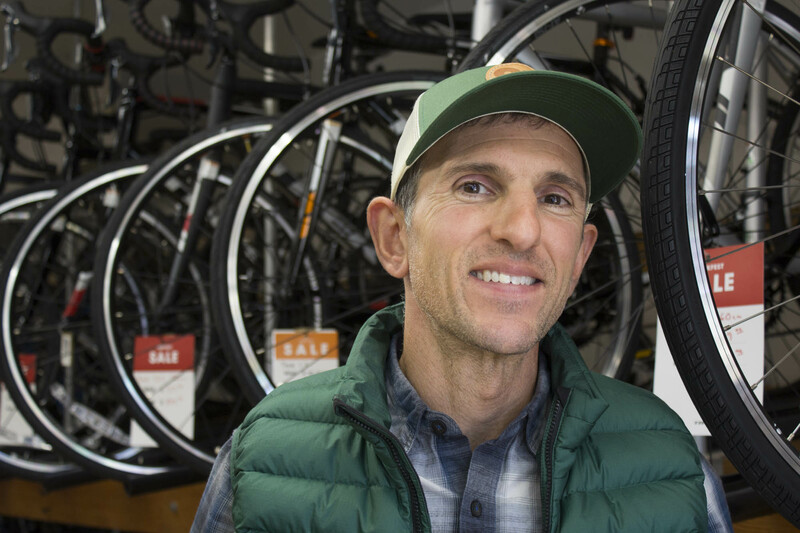 He brought his idea to the OU Innovation Center, who agreed to create the wheels using 3-D printing. A video of Tumbles wheeling around began circulating the internet; before Pilcher knew it, she was the mother to a viral star. Even though the wheels are adjustable and will last his lifetime, Pilcher said Tumbles doesn’t like to use them very much anymore. They inhibit his mobility, she said, and he much prefers hopping and pushing himself on his stomach. In the past few months, he also began walking on his back paws. Tumbles now lives with three other dogs and 19 cats. Originally published for The Post on Sept. 24, 2017. Ohio University’s basketball coach Saul Phillips woke up this morning just like any other day, only when he opened his eyes, he couldn’t see. Phillips spent the day with a disability like seven other Athens residents as part of the annual “Disabilities Speak” program hosted by the Athens County Commission on Disabilities. The disabilities ranged from being tethered to a walker to limb paralysis. All eight of the volunteers gathered in the Athens Community Center on Thursday at 6 p.m. to share their experience with the community. 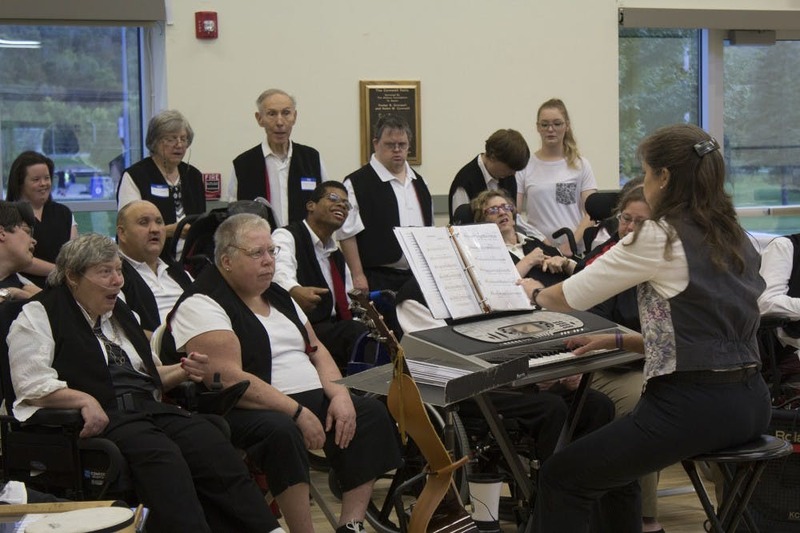 The program began with a performance from the Athens County Community Singers, a mixed choir of about 36 singers of all abilities. Following the performance, Barbara Conover, consultant for the American Disabilities Act and the mother of disabled children, delivered a keynote speech on universal design. Universal design is the concept of allowing accessibility for people of all abilities, such as ramps, door levers instead of knobs and wider hallways. “Everyone ought to be able to use everything available to everyone,” she said. Although the city has made great strides, including a lift to the mayoral office and an ADA accessible path in Sells Park, Patterson said the city has a long way to go. Athens City Schools Superintendent Tom Gibbs, who had a paralyzed arm for the day, said the experience was eye-opening not only to physical disabilities, but all disabilities students might be facing. Patterson wrapped up the event by presenting the annual Athena award to Noriko Kantake, the president of Appalachian Family Center for Autism and Disability Resources and Education. Kantake has an autistic son and recognized the need for increased accessibility in Athens. 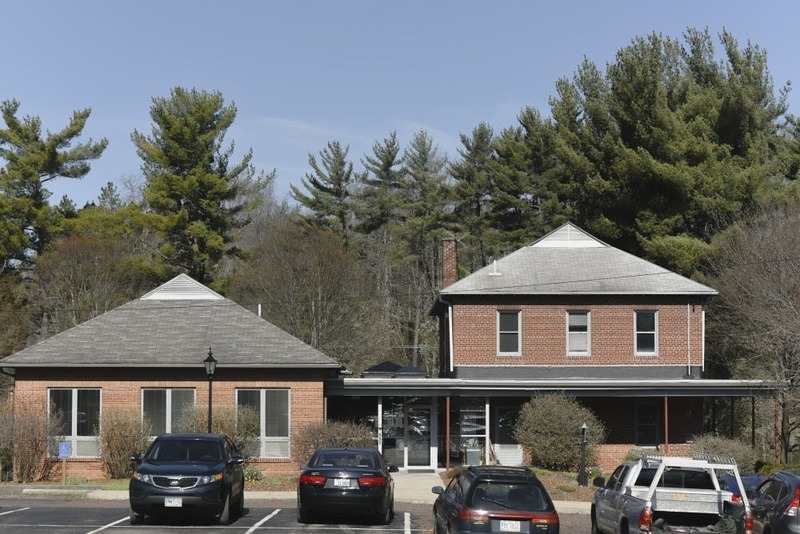 Athens’ first women’s transitional housing center will open at the beginning of 2018 after a longtime effort by local women in addiction recovery. Jayne Darling, the president of the Women in Recovery Board, said as a woman recovering from addiction, she recognized the need for transitional housing following rehabilitation or prison sentences. The 317 Board helped with technical assistance and moral support for the Women in Recovery group. Cecil oversees many local recovery and mental health facilities but said there is no transitional housing specifically for women in Athens. Darling said women in recovery face specific challenges men do not. The idea has been in the works for about a year and a half, Darling said. The group of nine board members, all of whom are volunteers, has been advocating for the development with local bodies of government and filing paperwork. The group recently purchased a house on a 7-acre plot of land for $232,000. The house is in the Athens area near state Route 56. For safety reasons, Darling said the board would not disclose the exact address because some women have restraining orders. The state granted Women in Recovery $190,000 for the mortgage and facilities, but none of that funding goes toward operations. Women staying in the house will be charged rent, but many people are not able to pay, so the operations are dependent on volunteers. They have received donations from local individuals and institutions, such as OhioHealth O’Bleness Hospital. Darling said the goal is to be open Jan. 1, 2018. Originally published for The Post on Sept. 6, 2017. The local pool, a staple of Athens since 1972, is set to be demolished this month by a construction company the city recently partnered with. 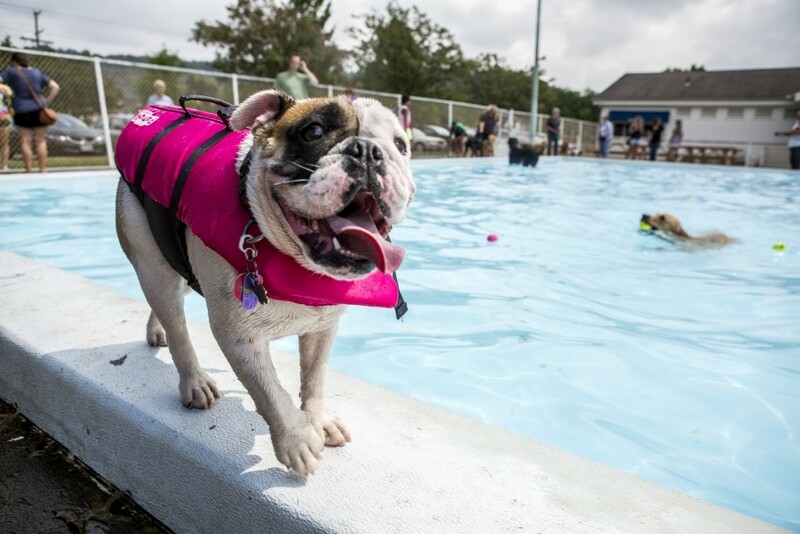 The city accepted a bid from Gutknecht Construction on July 28 to build a new outdoor hub to replace the existing 45-year-old community pool. The city budgeted $6.9 million for the project. Construction was scheduled to begin Aug. 28, soon after the pool closes for the summer. The new pool will be built on the existing site, 701 E. State St. Demolition will cost $85,000 to $90,000, according to a report from MSA Sport, which completed a design for the city. Deputy Service Safety Director Ron Lucas said the city hopes the project will be completed by May 18, 2018. Gutknecht initially proposed that the project would cost $7.25 million based on the design from MSA Sport. To bring cost down to $6.9 million, the city and Gutknecht agreed to remove some proposed amenities, such as one of the water slides and the canopy over the concession stand. The money for the new pool comes from a levy that passed in 2014. The ordinance approved a tax increase for 20 years, that began Jan. 1, 2016 and will end Dec. 31, 2035. Athens City Council President Chris Knisely said the city did not want to wait 20 years to complete the project, so Athens City Council passed an ordinance to secure a bond. Kalei Edenfield, a 2016 OU alumna, said she was excited to see the additions the new pool will have. Originally published for The Post on August 31, 2017. Athens residents might soon be able to blaze it with lesser repercussions. Following the collective efforts of a group of Athens community members, The Athens Cannabis Ordinance was officially added to the Nov. 7 ballot after a petition driven campaign. This is the second attempt to get the measure on the ballot. The success this year can be attributed to other statewide efforts to depenalize marijuana, Athens resident Caleb Brown said. Brown was one of the leaders of the TACO petition. Brown said the ordinance uses aspects from the Ohio State Constitution that allow municipalities to alter laws and penalties for misdemeanors within city limits. A common example is varying levels of fines for speeding tickets in different cities. “Since there are some misdemeanor marijuana offenses in Ohio, the idea is to change the fines and penalties all the way to zero,” Brown said. Marijuana misdemeanors in Ohio are defined by possession of 200 or less grams. Currently, offenders could spend up to 30 days in jail and be fined up to $250. 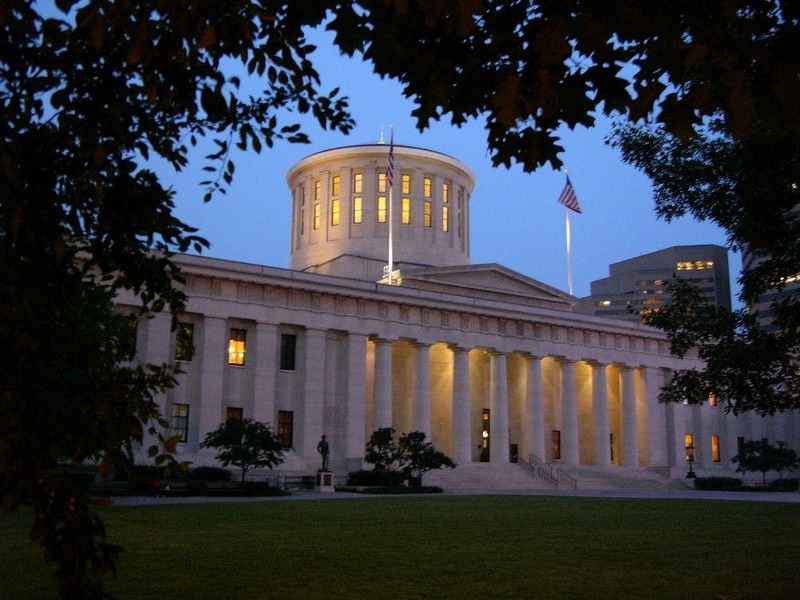 To put an initiative petition on a ballot in Ohio, petitioners must gather 10 percent of the number of people who casted votes in the most recent governor election, which was in 2014. In Athens, that equated to 319 signatures. Brown said in 2016 they were only a few signatures short, but this year the group garnered 625 signatures, 405 of which were valid. Though Ohio legalized medicinal marijuana in September 2016, Saraquoia, another leader of The Athens Cannabis Ordinance petition, said she was excited by the prospect of Athens depenalizing recreational marijuana use. Students who register to vote in Athens with proof of residence in the city will have the opportunity to vote on the issue in the upcoming election. Saraquoia said although Athens is a small town, she hopes to have influence on surrounding areas. Originally published for The Post on August 29, 2017.